Precise plasma cutting of metal plates and profiles from 1 to 12 mm, working area 2000 x 1000 mm. We produce parts, details, brackets, ornaments and even whole metal artworks as ordered by the customer. They are suitable for companies in the field of metalworking, metal constructions, stands etc. Quality is guaranteed by the use of Hypertherm plasma cutting machine. Spinning of shapes from sheets (thickness 0.5 to 4 mm) of metals such as steel, inox, aluminum, copper, brass. 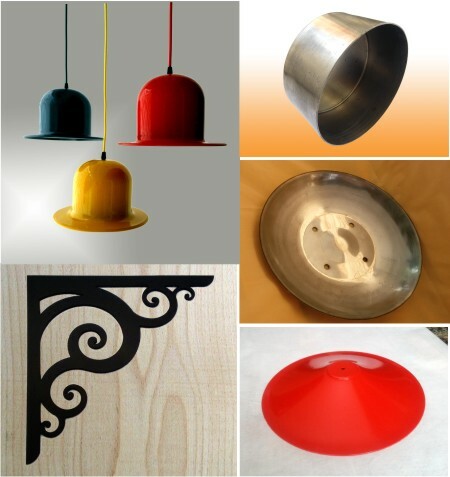 An affordable method to produce cones, hemispheres, pans, lids, metal shades, reflectors etc. The technology is suitable for producers of lighting, metalworking, machines etc. Bending of metal plates up to 2.5 mm thick. High-quality welding at attractive prices. Oven size 2000 x 1200 x 1000 mm. We use only high-quality brands of powder coats. 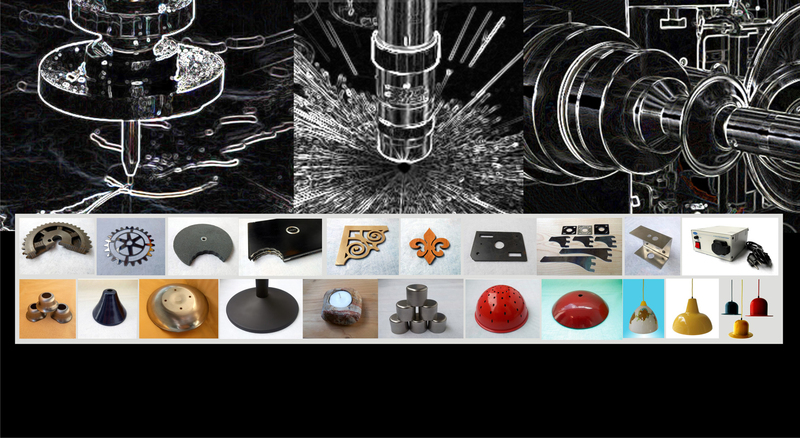 The company Renesse Ltd. was founded in 2011 with the intention to offer affordable and manageable alternative of die forming and laser cutting, especially for thicker metal plates. The lower cost of tooling makes spinning the preferred method of metal shaping for small and medium product series. We use high-quality, reliable Leifeld and Hypertherm machines. We offer also bending, welding and powder coating. We operate in a production unit with approximately 120 square meters in the town of Dragoman. Our office is in the city of Sofia.